La Collinette was acquired by the Chambers Family in 1960 when Sqdn Ldr Peter Chambers retired from a distinguished career with Fighter Command in the Royal Air Force. The hotel had just 11 bedrooms and a enjoyed great success during the “golden era” of Channel Islands tourism. The Chambers Family quickly established itself in Guernsey Tourism with Peter Chambers becoming the President of the local Hotel Association and a member of the Guernsey Tourist Board. The hotel soon doubled the number of hotel bedrooms, providing en suite facilities throughout and a fine restaurant, bar and a large swimming pool and kiddies pool. Later, the busy Guernsey hotel diversified into self catering accommodation with 7 attractive cottages constructed in the hotel grounds and more recently, developed Margaret House, comprising 6 self catering apartments and a Penthouse suite. 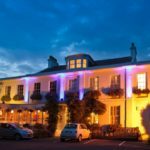 The hotel enjoys a very fine reputation as one of the few remaining family run hotels in Guernsey with a 3 star grading and a 4 star rating for the self catering accommodation. The hotel bar is a popular busy meeting place where hotel guests can meet “the locals” and garner tips about where to go around the island beaches, historic places of interest, island walks, fishing, trips to the islands of Herm and Sark, and which are currently the best restaurants in St Peter Port to enjoy the island’s wonderful reputation for fine dining, speciality food restaurants, nightclubs, discos and great shopping. There is a large heated swimming pool in the beautiful expansive gardens of the hotel, with a special kiddies pool for the little ones, and away from the pool area in the gardens, a children’s play area with swings, seesaw and slide. The hotel has remained in the ownership of the Chambers Family for nearly 60 years and we enjoy a fine reputation for high standards of service and comfort. Above all this however, is the wonderful name La Collinette has established for the exceptional hospitality of the management and staff, for whom no reasonable request is ever refused……going the extra mile for our guest is simply, “normal procedure”. We are unashamedly a family run hotel catering for guests from every walk of life be they on holiday or business. Children are very welcome at the hotel and we provide a complimentary La Collinette Teddy to every child who comes to stay at the hotel. Special arrangements are made for our junior guests with special beds, cots, high chairs and baby sitting facilities, if required. 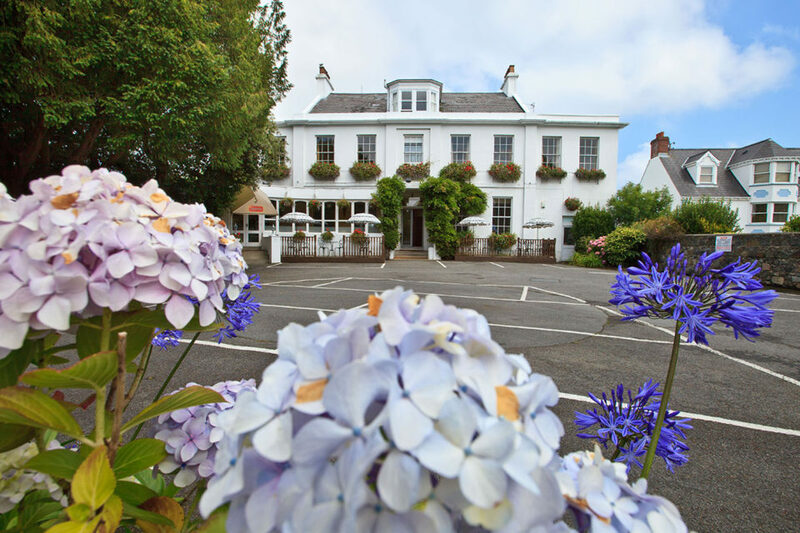 La Collinette is one of the leading hotels in the Channel Islands for returning guests, some of whom have been visiting us for over 30 years.